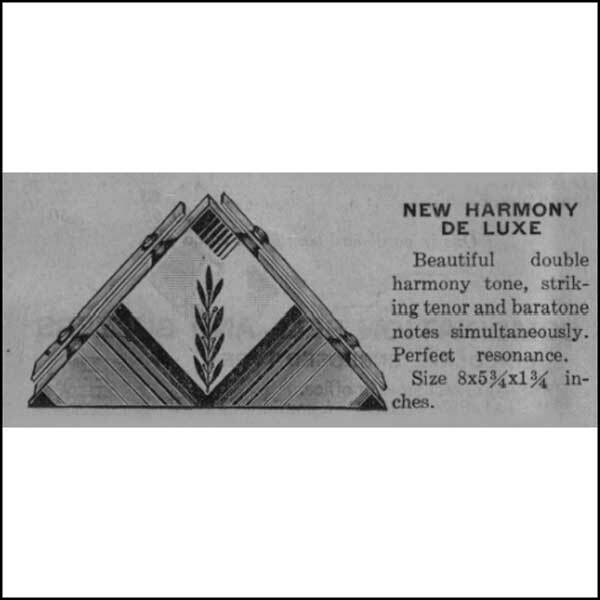 Mello Chime Harmony De Luxe. 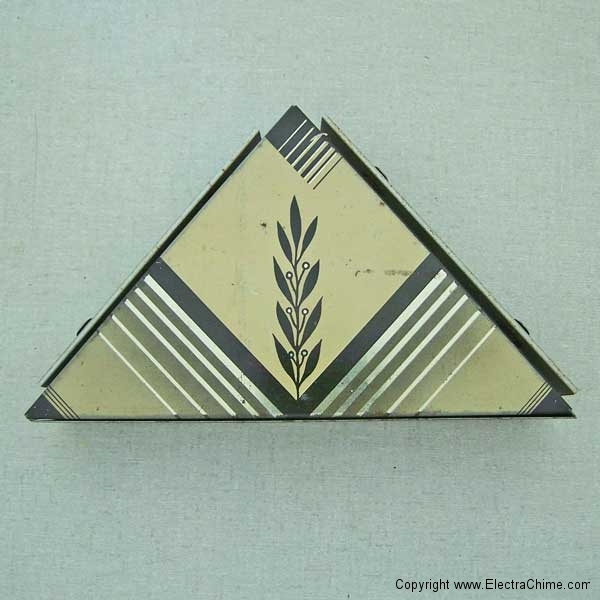 This door chime features high Art Deco styling. It is also a fascinating example of an early chime that employs two tone bars to sound a single chord by striking two harmonized tone bars. 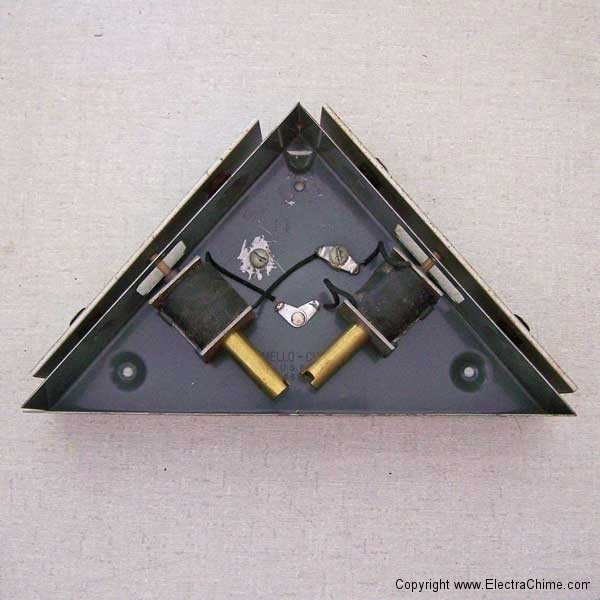 This feature was common to doorbells from Mello Chime, and possibly other manufacturers in the 1930s. Beautiful double harmony tone, striking tenor and baratone notes simultaneously. Perfect Resonance. Materials Lithography steel cover, Steel base. Iron tone bars.